Many scholars believe that Valentine's Day was originally established to commemorate Valentine, a 3rd century Roman Christian. Legend has it that, around 270 A.D., Roman emperor Claudius II was having difficulty recruiting young men for his army, so he forbade them to marry. Valentine continued to secretly perform marriage ceremonies for young couples, was eventually apprehended and imprisoned by Roman authorities, and was finally executed on February 14. While he was imprisoned, Valentine fell in love with his jailer's daughter and sent her a letter before his execution signed "from your Valentine." In the Bible's first epistle to Timothy (chapter 4, verse 3), we learn that it is wrong to forbid persons to marry, and Valentine's Day commemorates the story of this man who was martyred for obeying God rather than the emperor's injunction. In 14th century England, with its culture of courtly love, the poet Geoffrey Chaucer described the courtship of King Richard II and Anne of Bohemia in a love poem that mentions Saint Valentine. Since that time, romantic love has gradually come to be associated with Saint Valentine's Day. In modern times, Valentine's Day is celebrated on February 14, as a joyful and fun holiday that celebrates our love for one another. While the holiday's roots are in romantic love, the contemporary Valentine's Day holiday allows people to show their appreciation and love for mothers, fathers, brothers and sisters, other family members, and friends, as well as lovers. Greeting cards are always a nice Valentine's Day gesture, and traditional Valentine gifts include fresh flowers, chocolates, stuffed animals, and jewelry. Other gifts include gift certificates for spa treatments, books, and gourmet food. Whether you are looking for a small token of appreciation or whether your goal is to really impress someone, there is a Valentine's gift that is appropriate for every relationship and budget! 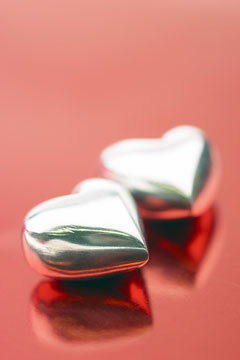 ValentineGifts.us features a selection of online gift shops that offer Valentine's Day gifts for your loved one. Take your time to browse and really make the day of someone you love! Delivers fresh, quality Valentine flowers from selected growers and FTD® florists. 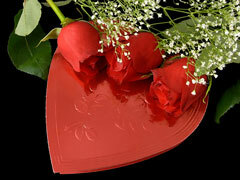 Offers a special selection of gourmet valentine gifts each year. Shop for men's and women's fragrances, cosmetics, and gift sets. Find Valentine's Day gift baskets, chocolates, flowers, and more. Fine jewelers since 1979. Here you'll find perfect Valentine's Day gifts. Shop early for Valentine's Day gifts and unique jewelry made just for her! 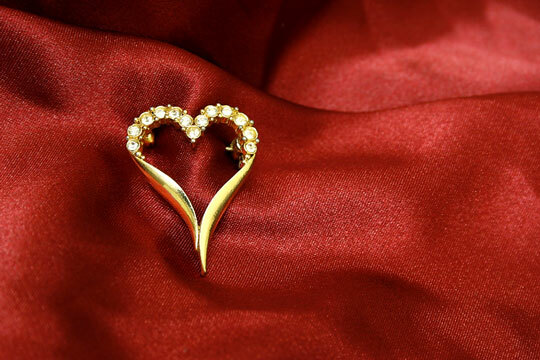 Find a special selection of valentine gifts for your sweetheart. Informative article about the legendary history of Valentine's Day, published by A&E Television Networks. Chocolate Gifts - gourmet chocolate gifts. Online Florists - flowers and floral gifts. ValentineGifts.us is a Chosen Sites™ information source.